Pisano Development has over 10 years of experience in the engineering and construction industry. As a licensed Professional Engineer, Mr. Pisano has experience performing professional engineering evaluations, land development consulting and construction management services on behalf of homeowners. 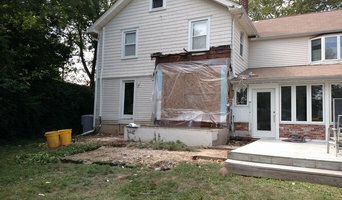 Since 2001, Thunderchild Remodeling, LLC has been renovating homes in historic Philadelphia. Unlike your typical general contractor who merely supervises the work of a large construction crew, owner Reese Browne plans and executes the designs himself. Thunderchild has the knowledge and connections to get your project up and running – experience with the Historic Commission, a roster of highly reputable specialist craftsman, and a practical sense of time and money that will help keep your renovation on time and within budget. We specifically serve Clients based in Center City neighborhoods such as Graduate Hospital, Bella Vista, Fairmount, East Passyunk, South Philadelphia, Pennsport. 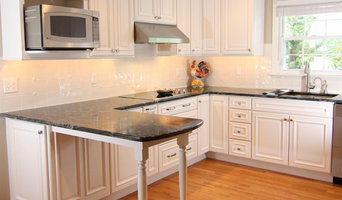 Home Depot is the largest kitchen remodeler in the USA. 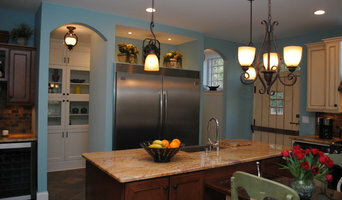 Billingham Built, LLC is an experienced and award-winning general contractor based in Bucks County, Pennsylvania. With over 40 years of hands-on construction experience working on both sides of the Delaware River, we are very familiar with local permit processes and building codes. Call today for the smartest solutions for your remodeling, restoration, new construction, and design/build needs. Green Roof Works is a premier service provider for vegetated on-structure systems. We design, install and maintain green roofs. We guide our clients through selecting the appropriate waterproofing, drainage, plants, facilitate all necessary permitting and project management steps, as well as provide long term maintenance. Winner of Best of Houzz 2013-2016, Harth Builders is a nationally recognized, residential design-build remodeling firm serving Montgomery and Bucks counties in the Philadelphia suburbs. National award-winning Design-Build Firm that has been helping clients make their homes beautiful and functional for 17 years. Our work always enhances the value of your home. 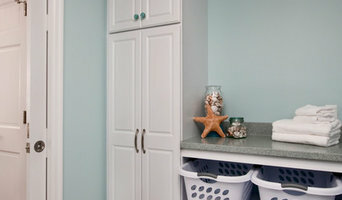 We are honored that our clients choose us year after year to improve their living spaces. We will be pleased to help you with design through construction for whole-house makeovers, additions, kitchens, baths, small updates, and other renovations. Once you are our customer, we will do anything for you. Call today for a complimentary design consultation! We pride ourselves in the quality and craftsmanship of our work. Every project is unique, from small decks to custom homes. Contact us today to find out how we can assist you with your project. Second generation family owned business specializing in design, build, and renovation projects throughout the central New Jersey area. Our 35 years of expertise and quality workmanship are only surpassed by our dedication to making our customers comfortable throughout the build process. Jim Downs and The Downs Group represents the finest in Design/Build/Development and Remodeling services, combining years of technical expertise and craftsmanship with exceptional creativity and style. Our Mission has been to Create and Manage projects of the Highest Quality while empahsizing Green Technologies and Practices and Energy Efficiency! Recycling Old world materials to create both old world charm and environmental responsibility has been a cornerstone of our company since its inception 25 years ago. Whether developing a world class country club, private residence, or commercial endeavor, as a TOP 50 Builder, TOP 50 Remodeler or Energy Star Partner, we provide the technical and practical expertise for a discerning clientele or partnership in the execution of any development or building project. Dowcon, Inc.
Alpha Genesis Design Build LLC. We are a design-build firm based in Solebury, PA. We manage each project from inception to completion with special focus on ideation, planning, and design. We maximize use of space, pay attention to traffic flow, and how you will ultimately enjoy the space specifically designed for you. Because we build our own designs, there is no disconnect between intent and execution. We know that home building, additions, and renovations can be a stressful endeavor. That's why we communicate early and often, eliminate the need for you to coordinate with multiple people, and we'll be there with you every step of the way. We work effectively with local municipalities to anticipate and comply with zoning regulations and ordinances in order to make your project go as smoothly as possible and eliminate unnecessary stress and delays. We take pride in what we do, strive to exceed your expectations, and will build you a home that you will be proud of. Builder/ Contractor Providing hands on building and design. A second generation home builder with over 25 years experience, who combines personal attention to detail with close client relationships. When quality and attention to detail matter, your custom project no matter the size. 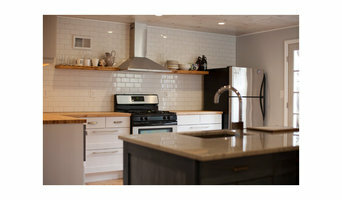 Bathrooms, kitchens additions, decks. porches, garages....or if you found that dream lot, the whole custom home! We Design and deliver exceptional homes from from Maine to Florida. Our focus on each Client's goals, coupled with our unrivaled creativity, delivers a fabulous project time after time. By integrating Design and Construction in a seamless process, we can deliver "more" at a greater quality level, faster. We have earned over a Dozen Architectural Awards for Custom Residential, Historic and Interiors Projects, which serves as a testimonial from our peers. We look forward to exceeding your expectations on your project. You can also reach me at (864) 380-7792.